When you have a few picky eaters to please but want a show stopper cake, you need to get creative. No chocolate, no fruit (or in particular berries), no cream cheese frosting. So what do you do? 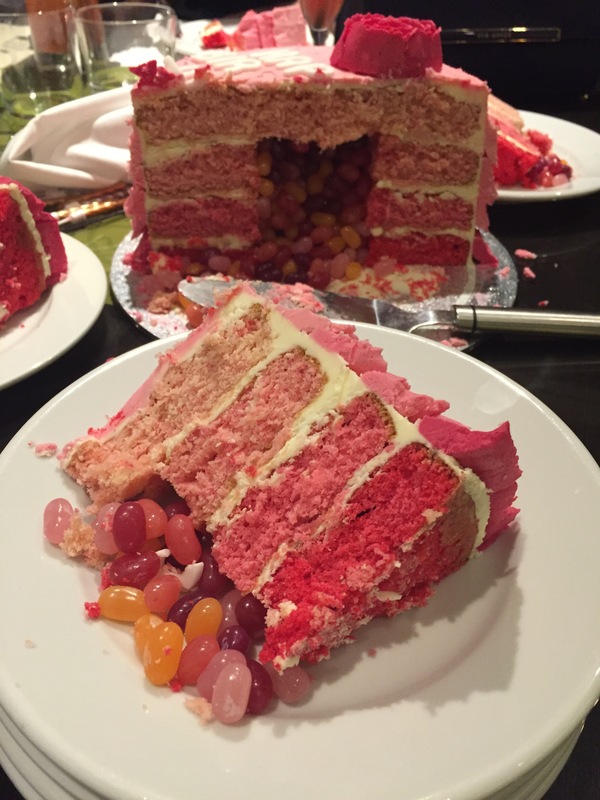 You create a vanilla ombre pinata cake full of jelly beans, of course. It’s that simple – if the flavor must be rather plain, you just go all out on decorations. 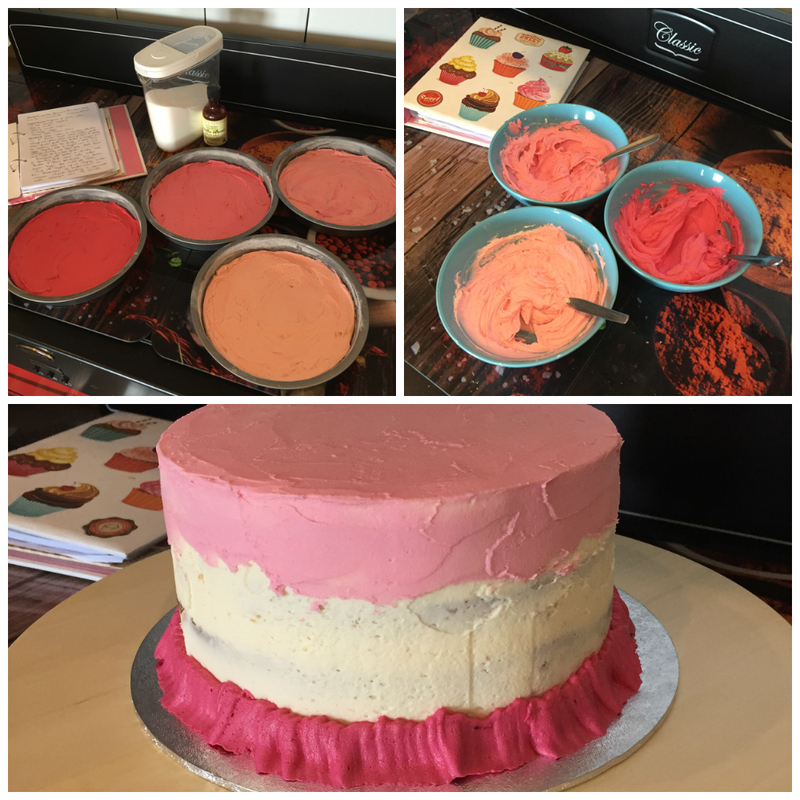 I started by preparing three quarters of the batter for Jemma’s Rainbow Cake – I wanted 4 layers instead of 6 as it was to be a small family celebrations and I didn’t want any cake to go to waste. But instead of colouring them in rainbow colours, I created 4 shades of pink. Once the cakes were baked and cooled, I used a round cutter to cut holes in the 3 darker shades, leaving the palest layer untouched. Once I had those 3 layers arranged on my cake board (using vanilla buttercream between them), I filled the gap with jelly beans all in pinks. I applied the top layer and did the crumb coat (a thin layer of icing meant to lock all crumbs). I left the cake to chill in the fridge for the icing to set and in the meantime I coloured the rest of my buttercream in 3 shades of pink. 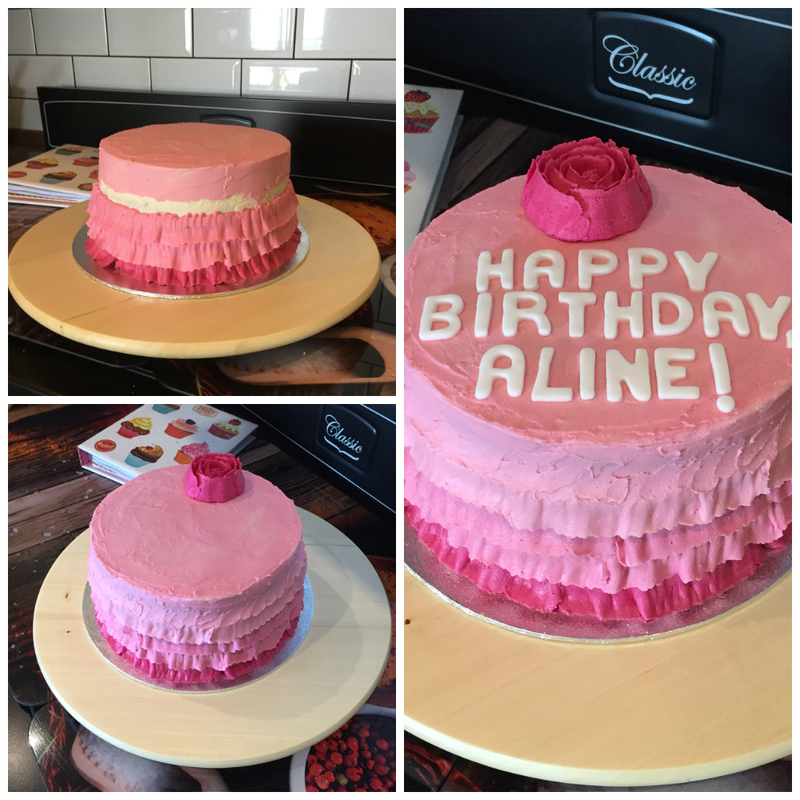 Using a large petal nozzle I then created a dark pink rose for the top and then created ruffles on the side of the cake for extra lush. You can see how to make the ruffles in this video (of course, again by Jemma – it also shows how to create the pinata effect). When you’re done with this and it’s time for the party, sit back and enjoy the faces of the crowd as they cut into the cake and the jelly beans spill out! Copyright © 2019 Cupcakes & Unicorns. Powered by WordPress and Alétheia.